Tarrant County is both the largest reliably Republican county in Texas and ground zero for Democrats’ efforts to turn the state blue. FOREST HILL — As she entered a Luby’s on Monday morning in this Democratic enclave southeast of Fort Worth, state Sen. Wendy Davis drew a warm welcome from the roughly 100 attendees at a Veterans Day breakfast. The Fort Worth Democrat had filed to run for governor of Texas two days earlier. Nine hours later and 20 miles north in the conservative city of Bedford, Attorney General Greg Abbott, the leading Republican candidate for governor, received a standing ovation as he unveiled new planks in his campaign platform to a church full of Tea Party conservatives. "I lived in Tarrant County when just about every judge was a Democrat, so for us to not have even one Democratic judge does not speak well to our efforts," Tarrant County Democratic Party Chairwoman Deborah Peoples said. Davis, whose filibuster of abortion legislation catapulted her into the spotlight this year, is one of two rising political stars from Fort Worth drawing national attention to Tarrant County. George P. Bush, the son of former Gov. Jeb Bush of Florida, is a Republican candidate for land commissioner. Local party leaders predict that all the attention will persuade more Democrats to compete in local races. 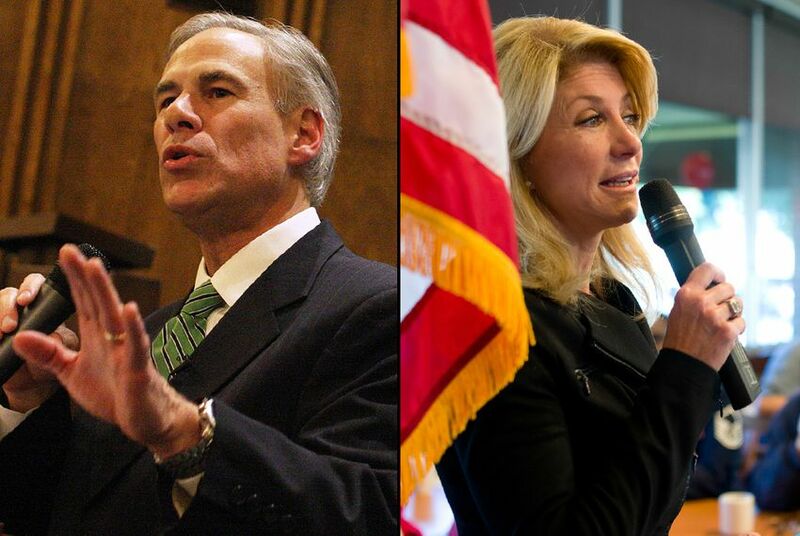 The NE Tarrant Tea Party, the group Abbott addressed this week, has emerged as a key player. In a few years, the group has helped replace a handful of local Republican elected officials whom activists found to be insufficiently conservative. Konni Burton, the group's former vice president, is among several Republicans competing to take over Davis' seat in the Texas Senate. "We know the Republicans are going to win in this area, so the primaries are the key elections for us,” said Julie McCarty, the group’s president. “Otherwise, we just hand it to the establishment every time." An analysis of lawmakers’ votes from this year’s legislative session by Mark Jones, a political science professor at Rice University, found the Tarrant delegation in the Texas House to be the most polarized in the state, in part because of the rightward shift of freshman Republicans elected with Tea Party support. “The sort of heart of this libertarian-Tea-Party-movement wing of the House delegation, the epicenter, is in Tarrant County,” Jones said. McCarty agreed that local libertarians and Tea Party activists have forged a productive partnership in recent years by finding common ground on concerns about state fiscal issues. “I don’t think the Tea Party can win without the libertarians, and I don’t think the libertarians can win without the Tea Party,” McCarty said. Former state Rep. Todd Smith, a Republican from the northeast Tarrant city of Euless, defeated a Tea Party-backed primary challenge in 2010 before failing in a state Senate bid last year. He said the local Republican Party now felt dominated by activists who did not want elected officials who could think for themselves. “I don’t know whether gubernatorial candidate Wendy Davis has a chance to win that election or not, but I do believe that this Tea Party radicalism enhances her chances,” Smith said. State Rep. Jonathan Stickland, R-Bedford, who replaced Smith in the House and has strong ties to local Tea Party groups, countered that both Democrats and Republicans play a role in the county’s polarization.